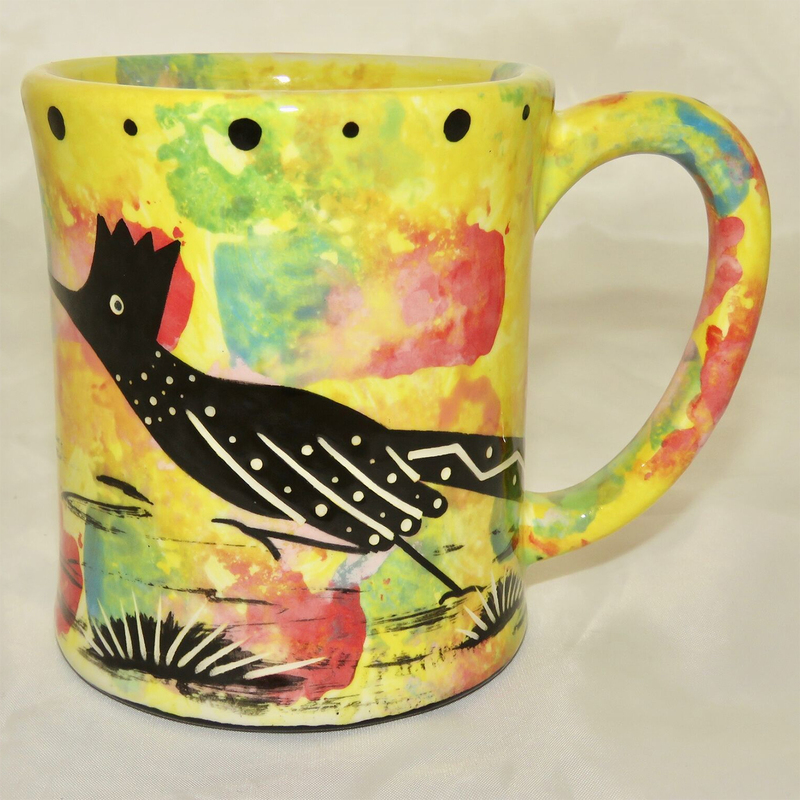 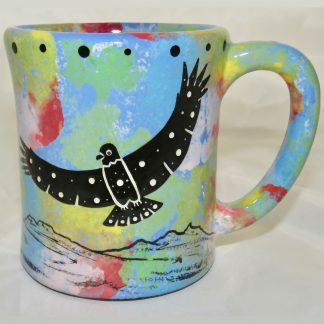 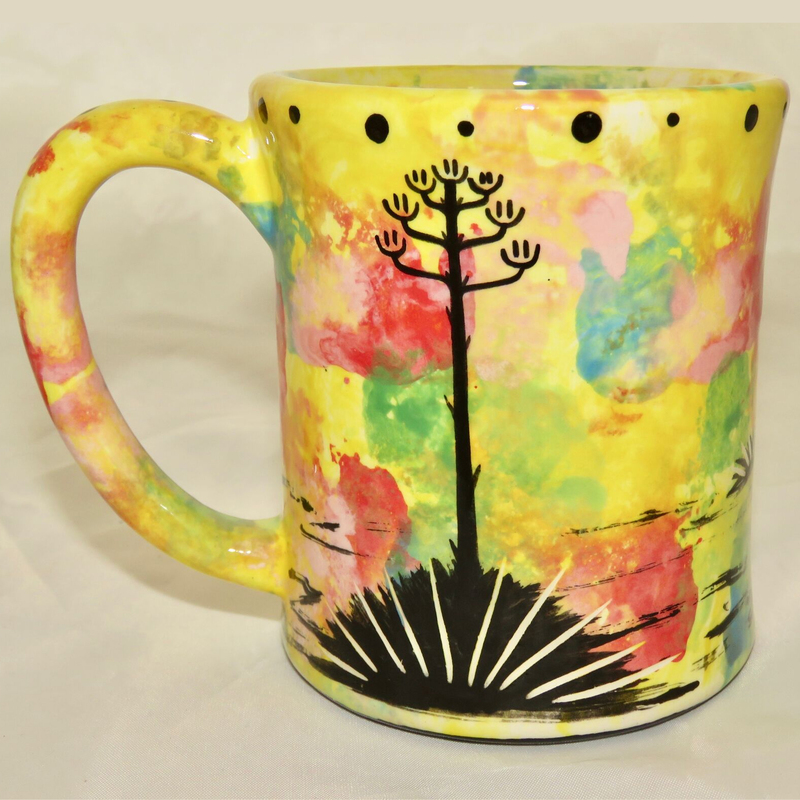 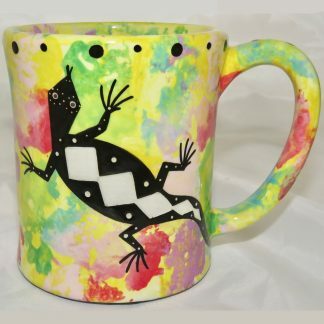 Mana Pottery e-mug featuring running road runner on front and native Aravaipa vegetation on reverse on bright yellow background. 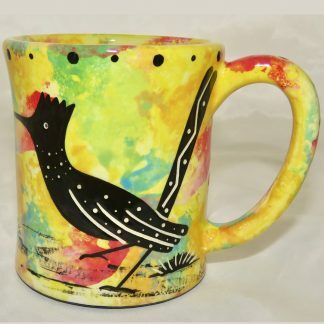 Mana Pottery e-mug featuring running road runner on front and native Aravaipa vegetation on reverse on bright yellow background. Holds 12 oz of liquid and has an ear-shaped handle.